Mahjong Skies, developed by Postmorph Ltd., is one of the best Mahjong games on the Apple App Store. If you are familiar with the popular Japanese puzzle game, you will love Mahjong Skies. I was introduced to mahjong by a friend and instantly became hooked. At first I was unsure of what to do. I clicked on the little light bulb at the bottom and it gave me a hint. I realized you had to match up the tiles by tapping on them to clear them. Once all of the tiles have been cleared the game is over. It is pretty simple yet very challenging due to the fact that a lot of the pieces look very similar and you can only clear pieces on the top. Any pieces underneath other pieces cannot be cleared. The object is to clear the board with the highest score. You can achieve combos to increase your scores and show off those high scores with GameCenter, or of Facebook and Twitter. If you get stuck and there are no more moves left for the current puzzle you will have to shuffle the board. The game allows you to shuffle for free a few times, but if you would like to shuffle more, you will have to purchase them via in-app purchases. 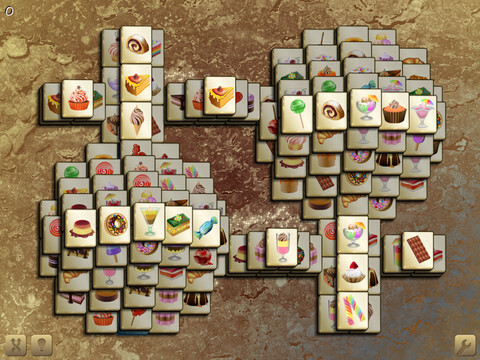 Mahjong Skies features overs 144 different levels and 8 unique tile sets while offering stunning visuals and great game play. The background music is very soothing, but luckily there is an option to turn of the music if you prefer.If you enjoy puzzles, Mahjong skies will provide you with hours of fun. Mahjong Skies is currently FREE on the Apple App Store. There are other parts of the game like additional levels and additional shuffles that will require you to purchase them via in-app purchases. If you are looking for a very well done Mahjong game to play on your iPad or iPhone, be sure to check out Mahjong Skies.